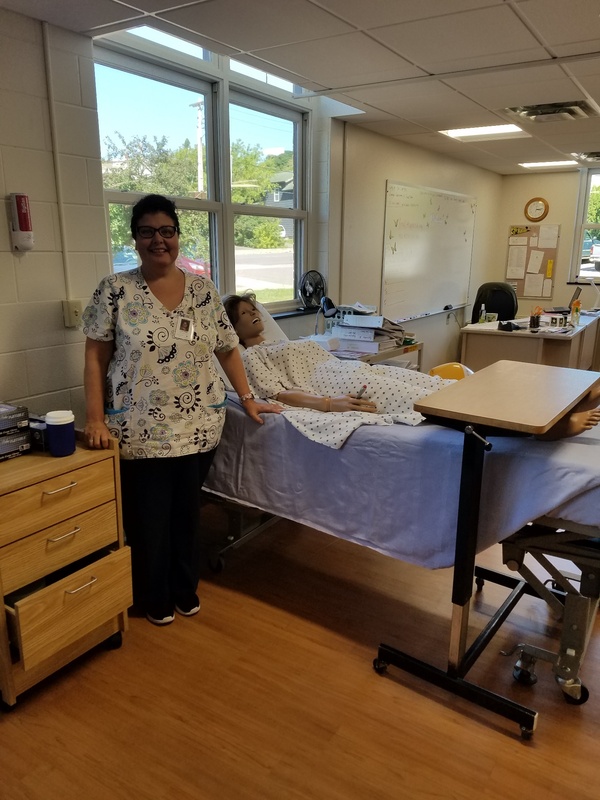 The Certified Nursing Assistant program is ideal for students who would like to explore nursing as a possible career and for those who would like to work as a CNA. This course will provide training for students to obtain the skills necessary to take the state of Michigan’s competency evaluation exam to become a CNA. Upon successful completion of the exam, students will have their name placed on the state registry and will be eligible to work as a CNA in hospitals, nursing homes and with health care agencies. 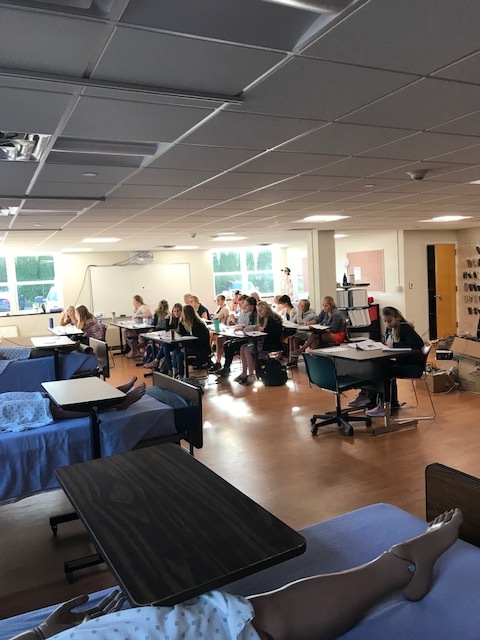 This course is a combination of theory, lab practicum (where students practice skills), and clinical instruction (students do direct patient care under the guidance of their instructor). Students enhance their verbal and written communication skills in a health care environment and learn the professional, legal and ethical issues related to health care. Students explore employment opportunities in this fast-growing field through field trips and guest speakers. An advisory committee is a group of citizens selected to collectively provide advice to the public schools in regard to career and technical education. The members are mostly from outside the field of education representing labor, management, and the general public. The members are selected because of specialized expertise and knowledge. They serve only as advisors without administrative authority and without pay or compensation. Health Occupations Students of America (HOSA) is a national student organization endorsed by the US Department of Education. HOSA provides a unique program of leadership development, motivation, and recognition exclusively for secondary, postsecondary, adult, and collegiate students enrolled in Health Careers programs. 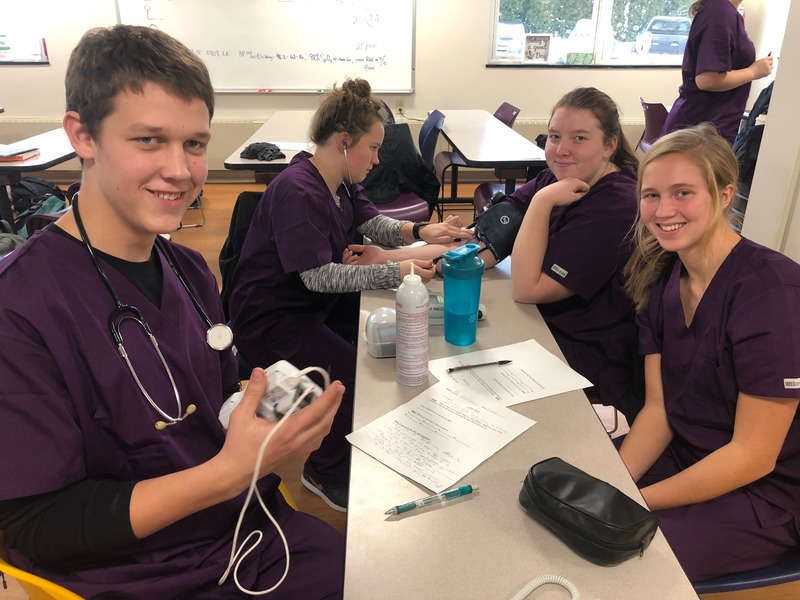 Those who join the Health Careers-HOSA partnership recognize the importance of providing students with training far beyond the basic technical skills needed for entry into the health care field. The rapidly changing health care system needs dedicated workers who, in addition to their technical skills, are people-oriented and capable of being part of a health care team. The mission of HOSA is to enhance the delivery of compassionate, quality health care by providing opportunities for knowledge, skills and leadership development of all health care students, therefore, helping the student meet the needs of the community. 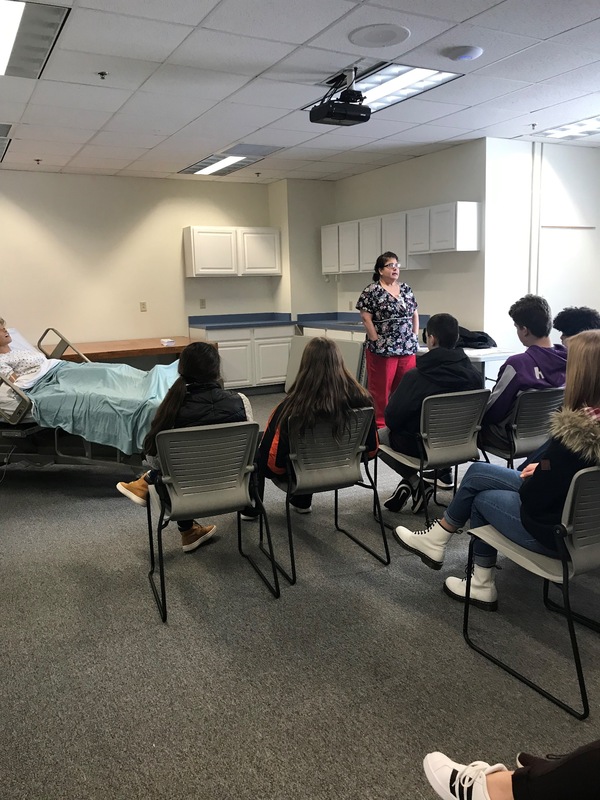 Through COSI (Center of Science & Industry), Health Careers students are able to participate in live procedures such as open heart surgery and total knee replacement. Students are able to view the procedure and ask questions or make comments as it is taking place. 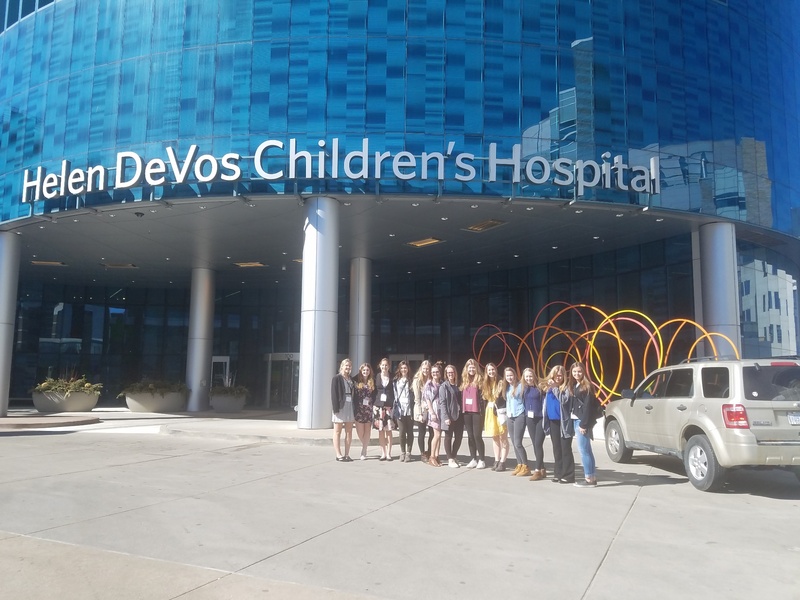 Students have gone to the Mayo Clinic, Hennepin County Hospital, and the University of Minnesota Hospital (in Minneapolis) and the Cook County Hopsital and the Northwestern Hospital (in Chicago). Students have also had the opportunity to look at forensic medicine by viewing an interactive live autopsy. The students had weeks of lesson plans on the autopsy procedure. They had to devise a lesson plan and autopsy plan based on the case study the pathologist sent to them. They also had to decide what type of procedure they would use and give rationale for their decision. 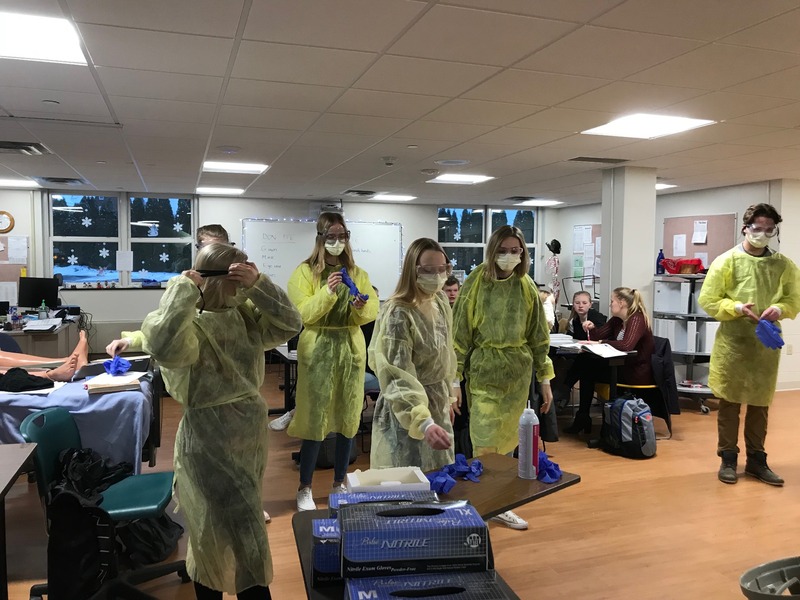 While viewing the autopsy, the students were able to ask questions of and make comments to a pathologist who was explaining the procedure to the students. After the autopsy, students were able to determine what the cause of death was. -school classroom learning with supervised, part-time volunteer work directly related to the health career field. It is designed to help students make better informed career decisions, where they can practice skills developed in their health careers curriculum, and help them develop interpersonal skills, good work habits and attitudes, and decision making abilities. Each student participates two afternoons a week at a specific site during regularly scheduled class time. Participation from the community in providing these training experiences has been outstanding, and the number and variety of training sites continues to grow every year. Comments from community participants have been overwhelmingly positive, and most sites are repeat participants. 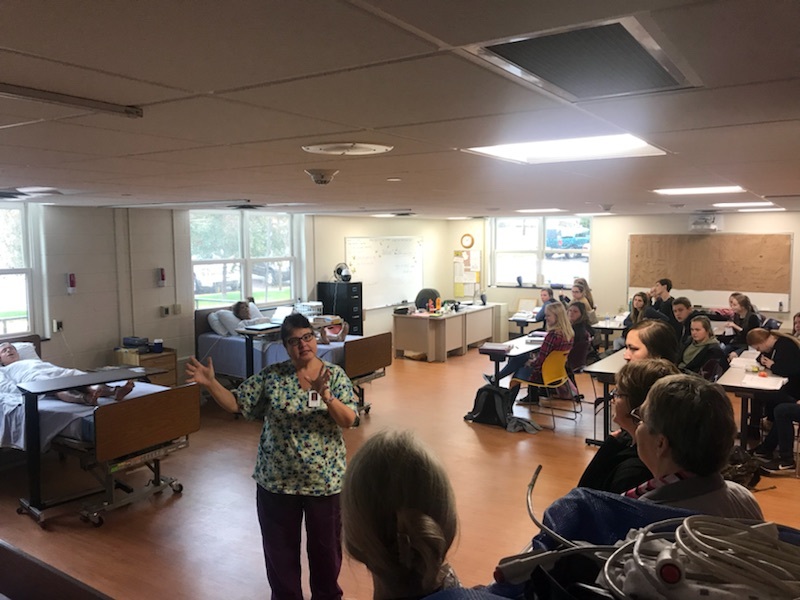 For example, health careers students have received training in radiology, audiology, respiratory therapy, physical therapy, intensive care, surgery, veterinary medicine, speech therapy, chiropractic training, dialysis and nursing rotations. 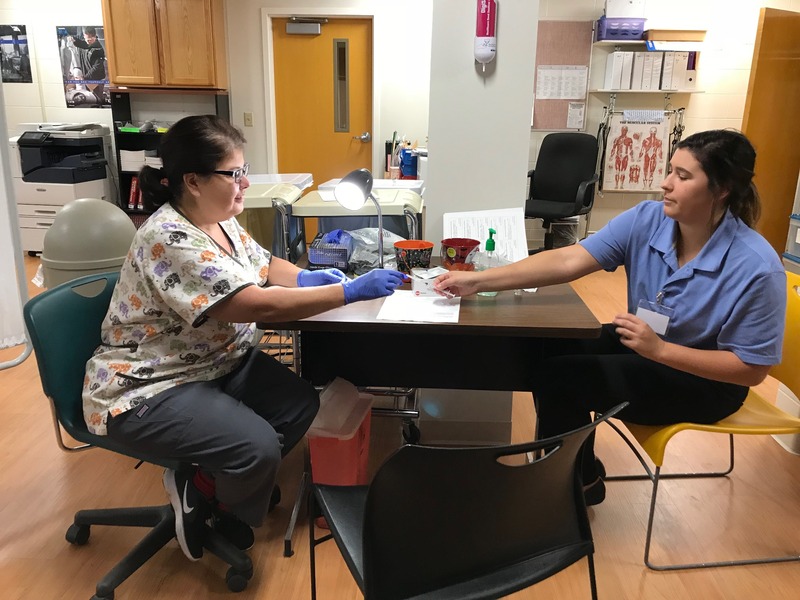 As a result of these training experiences, many graduates of the health careers program are pursuing post secondary education in these fields, and a number are working in local and regional hospitals and other health related agencies. Community service is an integral part of the Health Careers and Certified Nursing Assistant (CNA) programs. Every year students spend time volunteering in various activities for Little Brothers Friends of the Elderly, Omega House and Houghton County Medical Care Facility. Some of the activities the students have participated in at the Omega House include planting daffodil bulbs along the Houghton Waterfront for a Memorial Garden, volunteering and participating in the 4th Annual memorial walk, “Hike for the House,” where they helped with registration and participated in the hike, and stuffing over 25,000 envelopes with other community members for their capital campaign. For Little Brothers Friends of the Elderly, students delivered Christmas packages to elderly friends throughout the Copper Country. Over the past 15 years, students have delivered hundreds of packages to elderly friends. The students look forward to these deliveries because they get the opportunity to spend some time with elderly of the community, and the elderly look forward to the time they spend with the “youngsters” sharing their life stories. Other activities students have participated in include time at Little Brothers’ Wood Lot making sure the elderly had enough wood for the winter and helping out at the Halloween Party where they have the opportunity to dress up in costume. 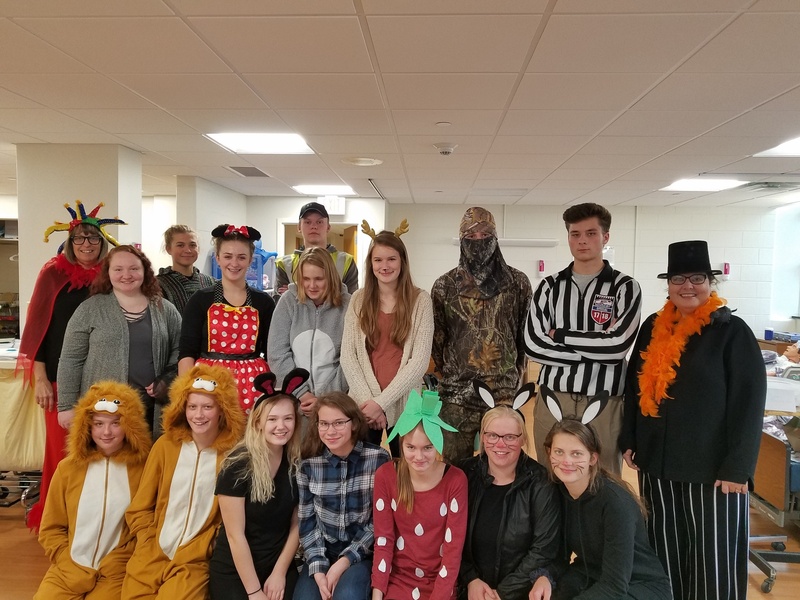 The CNA classes have participated in many activities at the Houghton County Medical Care Facility, including dressing up for Halloween and having a parade, carving and painting pumpkins, caroling with the residents during Christmas, as well as helping with their Christmas party where they were joined by the Health Careers students, and honoring the veterans on Veteran’s Day. Students sang patriotic songs and handed out flags, cards and a pin. Another way our students contribute to the community is by teaming up with the Portage Health Auxiliary, WalMart and Sew Crazy. This year’s project was to sew 100 clothing covers for residents at Portage Pointe. Not only was the goal met, but it was a fun project for all involved. I have been a registered nurse for 28 years. I graduated from Northern Michigan University with a Bachelors degree in nursing. My background has been in many areas of the health care field, including medical/surgical nursing, home health and hospice, public health nursing, long-term care, and adult education. All nurse aide students participate in our student organization HOSA (Future Health Professionals). Visit the national website www.hosa.org or the state web site www.michiganhosa.org. Our students have competed in regional competitions, at the state level, and have qualified to compete at the national competitions. I am honored to be able to introduce students to the health care system and the essence of nursing. The health care system is a challenging, ever changing environment. My desire is to teach and support my students in achieving their goals. Along the way, they will embody what it means to make a difference in the lives of others. I live in Pelkie with my husband, Kevin and our three children. I love animals, the outdoors, reading, and music. Communication is a key component for a successful and happy educational experience. If you ever have any suggestions or concerns, please contact me at 482-4250, Ext. 304. My email address is lmaki@copperisd.org. If you are a health care professional and are interested in setting up a field trip, acting as a mentor to a student, being a guest speaker, or being a chaperone at a HOSA event please let me know.